Every now and again it’s nice to sit down and take a look at the parts of your life that make you happy. 1. 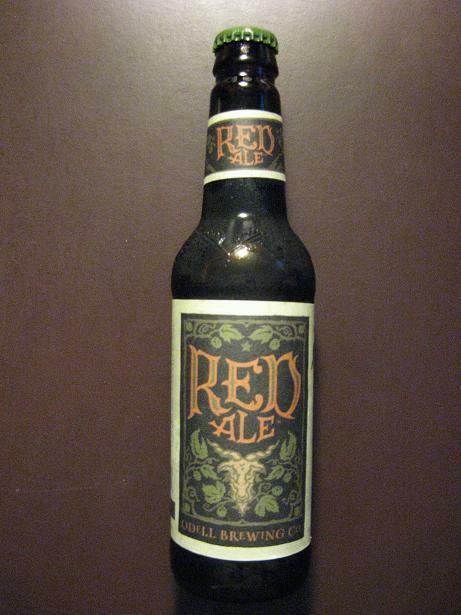 Odell Brewing Red Ale. Hoppy, but not so much as an IPA. Very tasty. Definitely one of the best beers I’ve had recently. 2. Loaded burgers. It’s one of the most American meals you can fuel yourself with. Tonight’s special? Sauteed sweet onion, tomato, KC BBQ sauce, southwestern style hashbrowns, and smoked provolone. 3. Nintendo 3DS. In my opinion, the portable system to own. Some may argue the current game lineup is lacking, but I’m doing just fine with Ghost Recon, Legend of Zelda, and Lego Pirates. Not to mention Star Fox, Harvest Moon, and Driver due in September, plus the 20 free games Nintendo is providing me with for being an early-adopter. 4. New Mexico thunderstorms. They’re glorious. One minute it’s sunny and warm, the next it’s darkness and downpour. I’ll be sad to see the end of monsoon season. 5. Bodyweight workouts at Sunset Park. Without current gym access, I’m getting a little creative with my workouts. Luckily, the Albuquerque park system is wonderful.